Originally posted September 19, 2013. 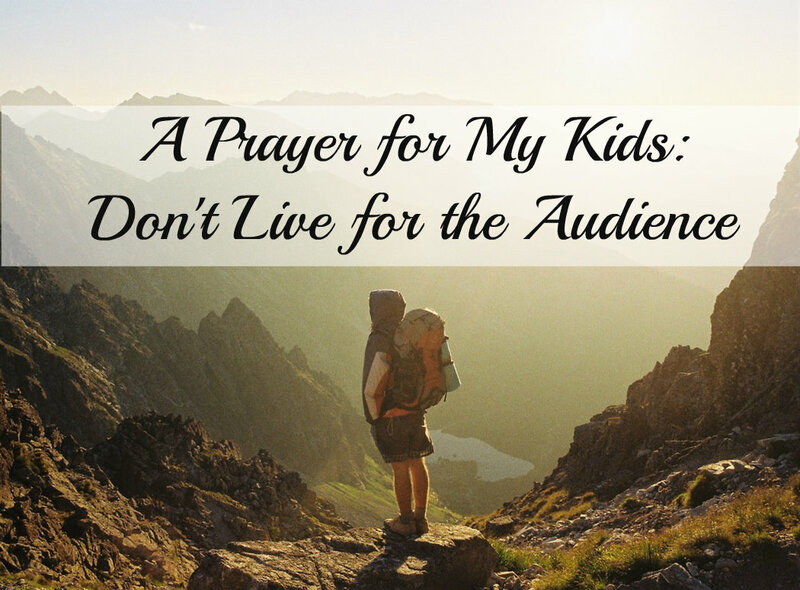 So, my prayer for you, my sweet children, is that you will recognize what in your life is appropriate for the audience and what is not. And when you are husbands and wives and parents, I pray that you will not let the audience dictate how you live a single day of your life. Not all days are for audience-worthy arts and crafts or homemade soap or your latest culinary delight. Some days are for lying on a blanket in the backyard with your kids, soaking in the sunshine and giggling until your sides hurt. And some days are for trying your hardest to safely store away in your mind’s eye the expression on your child’s face when he finally learns to stay up on his bike. And those kinds of days, dear children, are not days for the audience. They are days that only you can see the depth and the greatness of. I have no doubt you will navigate these tricky waters well, my babies. I hope that I can be a good example to you by providing plenty of sacred moments that are ours alone.